John E. Day graduated from the University of Baltimore with an MBA in finance and he has been in the investment business since 1993. John truly enjoys the relationships that he builds with each and every one of his clients. 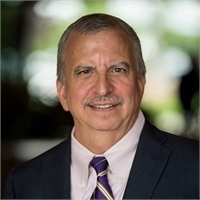 His main areas of focus include helping parents saving for college, baby boomers, those who are in need of determining a new start or in a career transition and putting people in the position to retire and stay retired. In fact, one of John’s mottos is, “Retirement is the longest vacation you’ll ever take and I’d like for you to leave on that vacation and not come back.” His hard work and love of finance is what eventually developed into the creation of Day Financial Group. John is also a member of the Financial Services Institute. He enjoys going to professional seminars and trainings that focus on the effects for baby boomers and seniors. He is a three time winner of the Baltimore Magazine Five Star Wealth Manager award for 2010, 2011, 2012, 2013 and 2014*. As a member of the chairman’s level, based on revenue, John also ranks in the top 5% of all advisors with LPL Financial. John is a member of the Howard County Chamber of Commerce. He is also on the Finance Committee at our Lady of Victory Church & School. In his spare time, he enjoys golfing, boating, red wine, baseball and antique trains. He is also very interested in Victorian architecture and actually restored his own home to its true Victorian splendor. John lives there currently with his wife Marlene. Together they have two kids, Matthew and Lisa.